I love leeks. They’re in my #DadRecipe lentil soup. 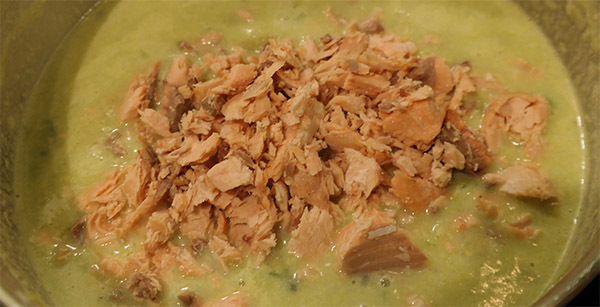 They’re also in this Belleau Kitchen’s Hot Smoked Salmon and Leek Chowder from British Leeks. 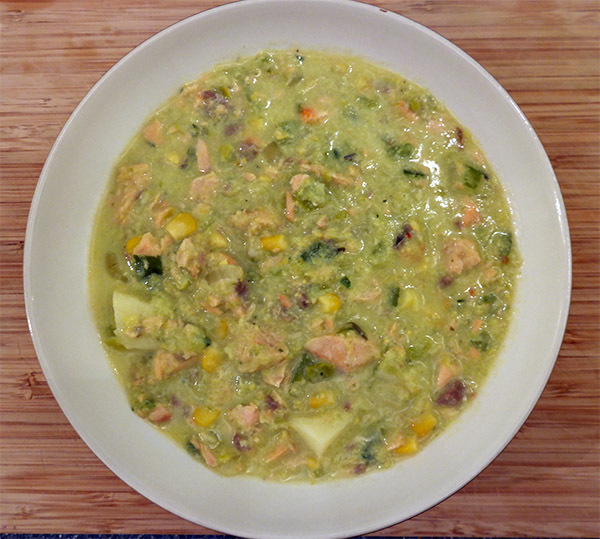 This recipe is a healthy combo of salmon, leeks, onion, celery, cauliflower and sweetcorn, and is also so simple to make that it can happily be classed as a #DadRecipe. 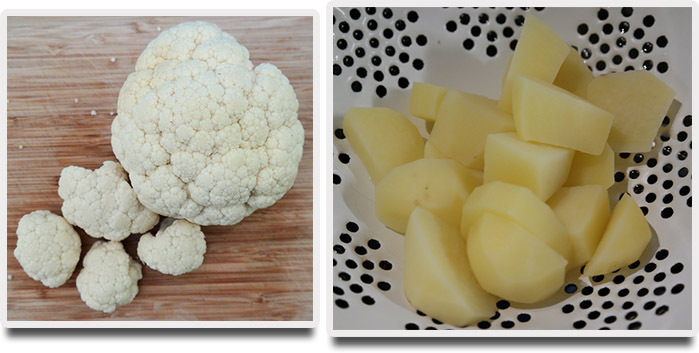 Basically, flake your salmon and finely chop your root veg and prepare your cauliflower. Hold up. There are potatoes here. There are no potatoes in the recipe. Well, I’m afraid I don’t like cauliflower so I substituted them with these. Make sure, however, that they are fully boiled before you start. (Potatoes won’t cook properly in a milk sauce). I used the food processor for the finely chopping of the leek and celery. Cheating? No! Basically, you fry the onion to soften it, then add the chopped veg and let it sweat for a while. 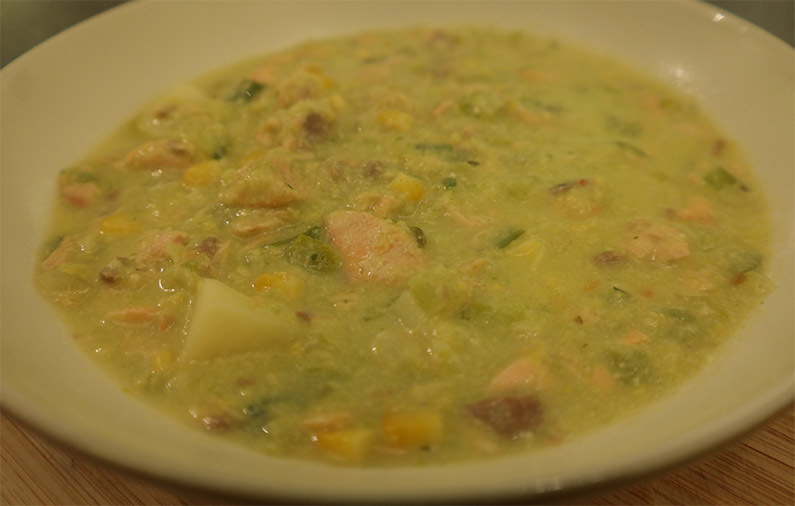 You then add the sweetcorn, stock and the milk to the vegetables and let them simmer for 10-15 minutes. Then, my favourite trick. Take out about a third of the mix, liquidise it and stick it back in. It thickens up the mix. Then the magic. Add in the salmon, give it a mix and take it off the heat. And you’re done! It’s a right hearty dish. Even though it’s simple, it feel luxurious. It’s also very healthy. Leeks have been shown to reduce ‘bad’ cholesterol, can help to lower high blood pressure, can help protect against cancer (particularly, prostate, colon and stomach cancer) and are a good source of the B vitamin folate, which is great for pregnant mums! You should check out this amazing collection of other leek recipes from Katriona MacGregor. I’m keen to try the Leek, wild mushroom and parmesan pappardelle and the Bacon-wrapped chicken with leeks, peas & basil. British Leeks asked me to write this and I’m glad they did. It’s delicious. British Leeks are an organisation, by the way. I’m not claiming that I was spoken to by root veg.